I had gone up to the Arataki Visitor Centre in the hope to get a few shots of misty scenery. But when I got there, I found myself surrounded by fog. 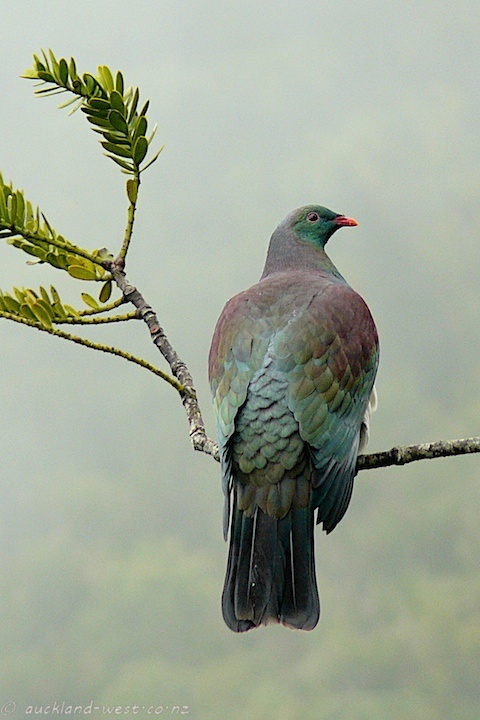 Ready to return home, I spotted this woodpigeon resting on a branch of a kauri tree nearby: perfect background, with a mere hint of the bush-clad hills in the distance.